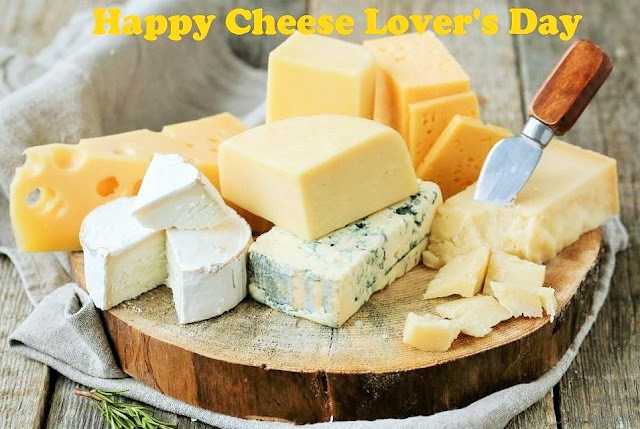 It's time to celebrate cheese, and our love for this moist, velvety, supple, and luscious dairy product! 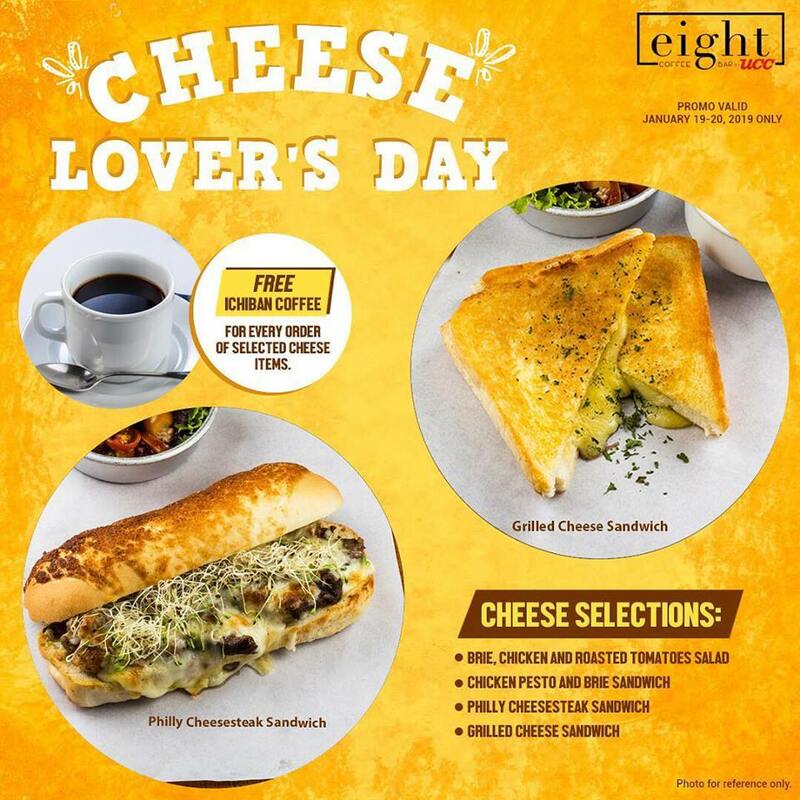 To all the cheese lovers out there, I'm sure you may want to check out these National Cheese Lover's Day Promos happening around the metro. 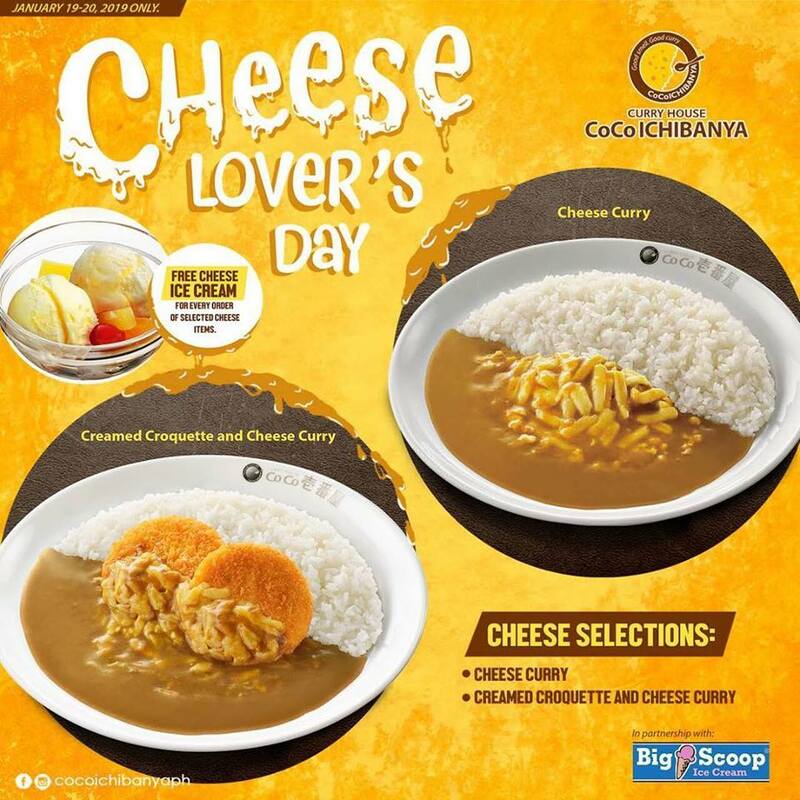 Celebrate National Cheese Lover’s Day on January 20th and get your cheesy fix at Tokyo Milk Cheese Factory! 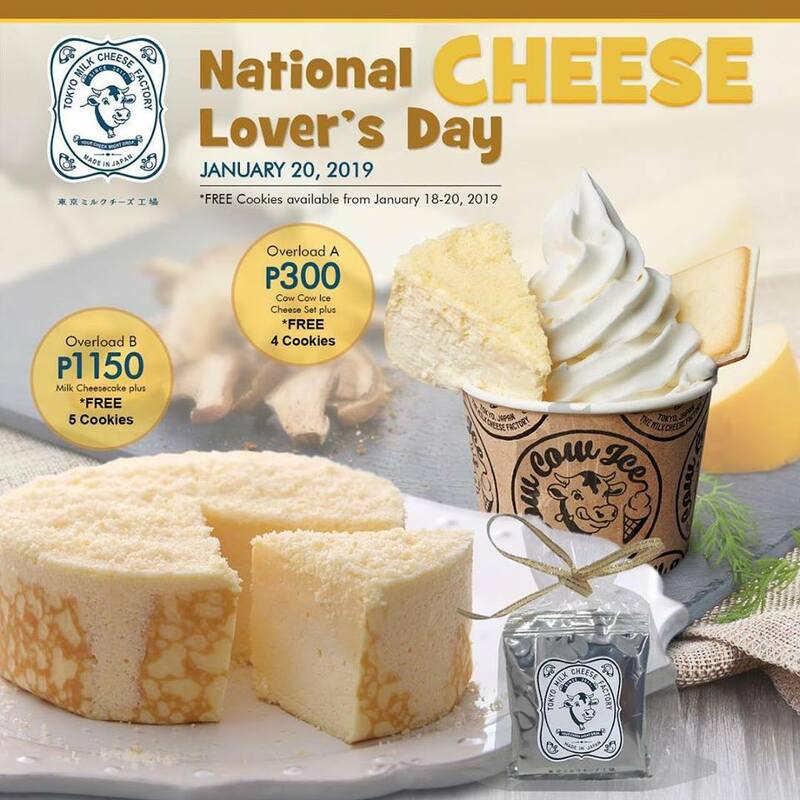 For every purchase of our bestselling Milk Cheese Cake (P1,150) or a single purchase worth P300 of Cow Cow Ice Cheese Set, enjoy free Milk Cheese Cookies for FREE! This promo is available until January 20, 2019 at any Tokyo Milk Cheese Factory branch. 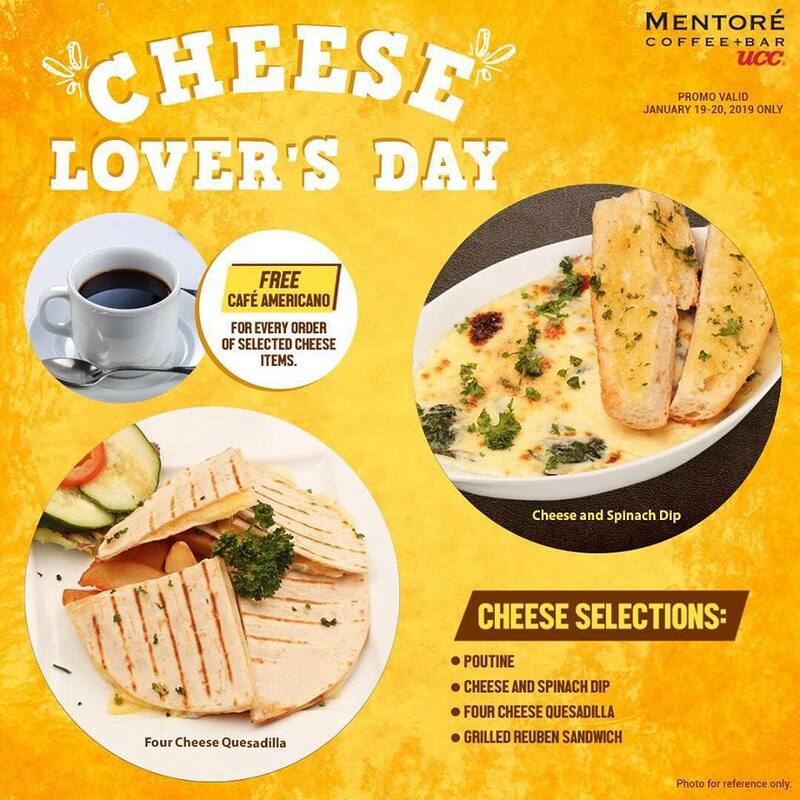 Get cheesier as we celebrate Cheese Lover’s Day this weekend at Yamato Stores! 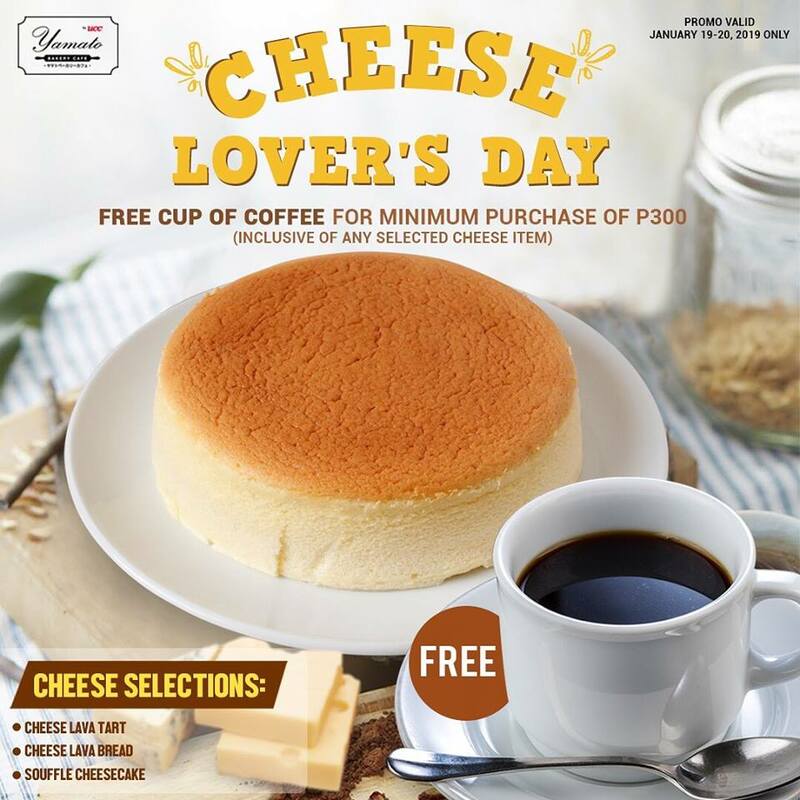 Enjoy a FREE Cup of Coffee for every order of any selected cheese items at any Yamato branch. Promo valid on January 19-20, 2019. 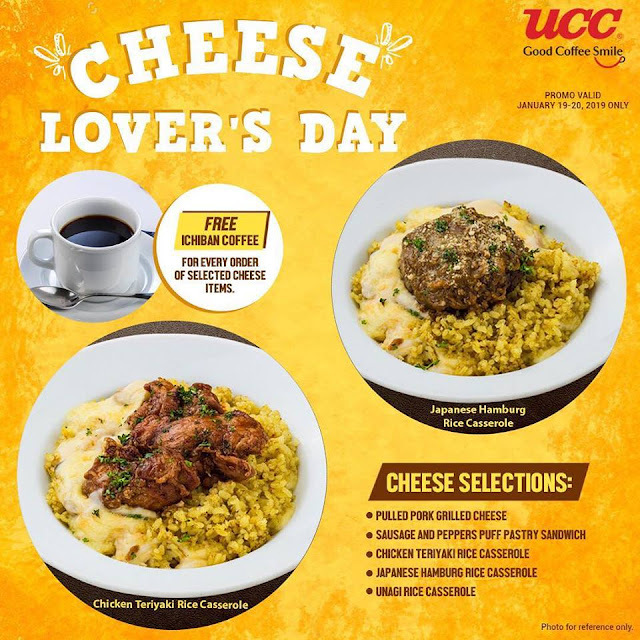 Get cheesier as we celebrate Cheese Lover’s Day this weekend UCC Stores (including Mentore, and Eight Coffee Bar by UCC) and enjoy a FREE cup of Ichiban Coffee for every order of any selected cheese items. Promo valid on January 19-20, 2019 only. Sbarro offers P20-pizza to celebrate National Cheese Lover's Day! 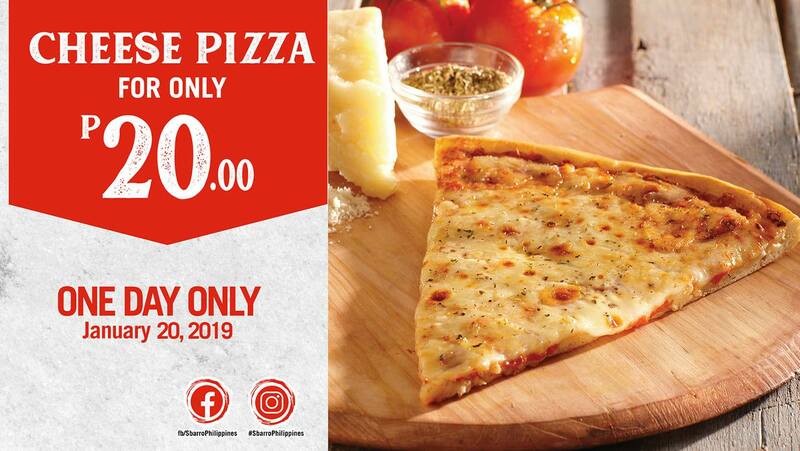 Buy any pizza slice and get your 2nd NY Cheese slice for only P20! This promo valid for one day only, on January 20, 2019 in all Sbarro branches nationwide.